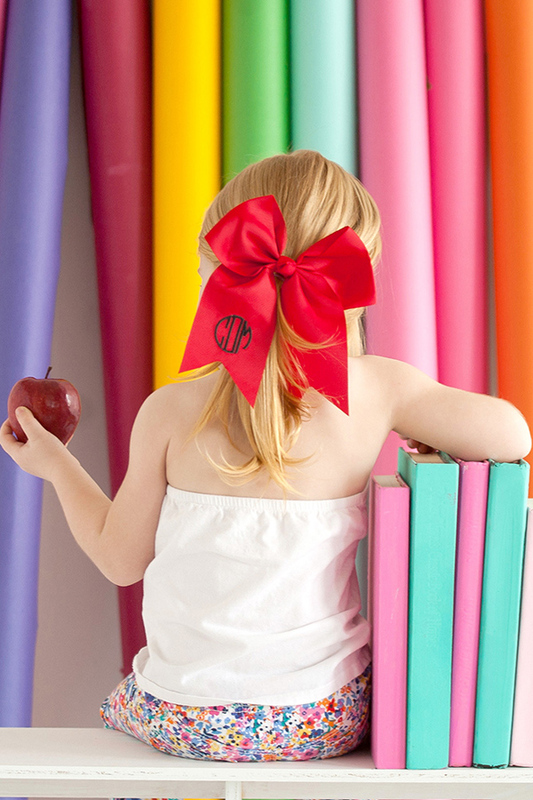 These adorable personalized hair bows are available in 11 color options. 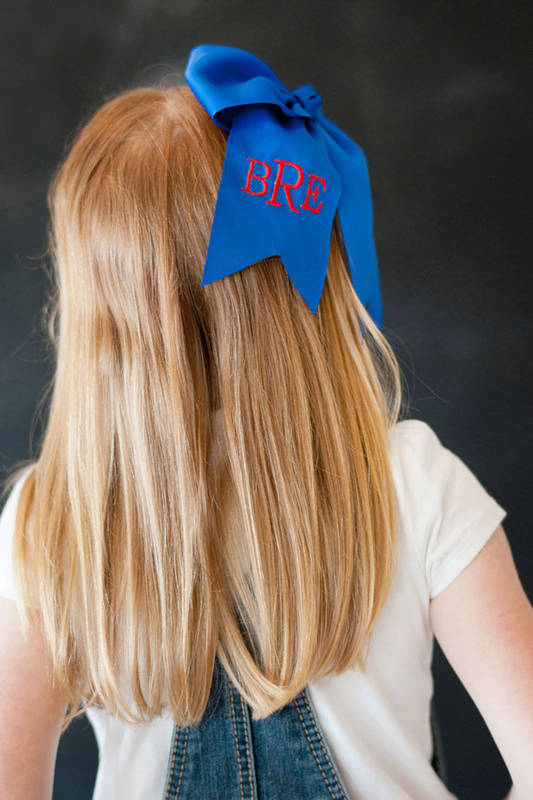 A great idea for back to school attire, cheerleading squads, and birthday gifts. 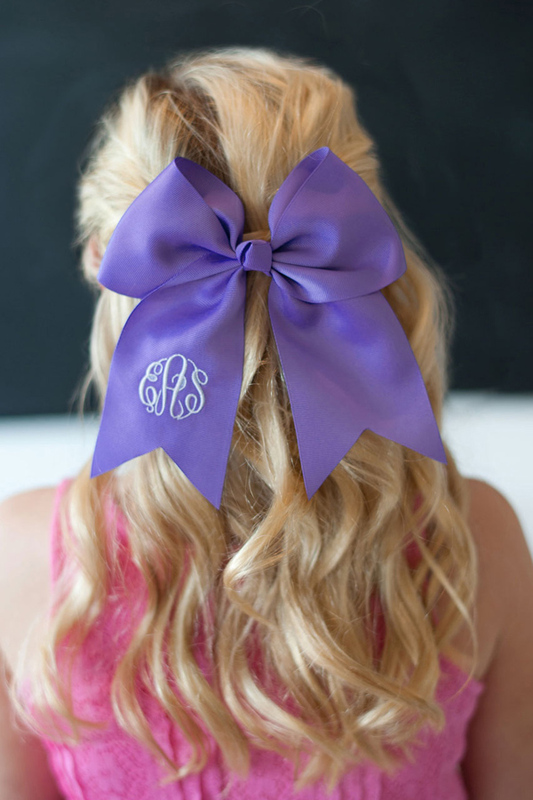 Personalize your hair bows with a single initial or three letter monogram in your choice of embroidery thread color. 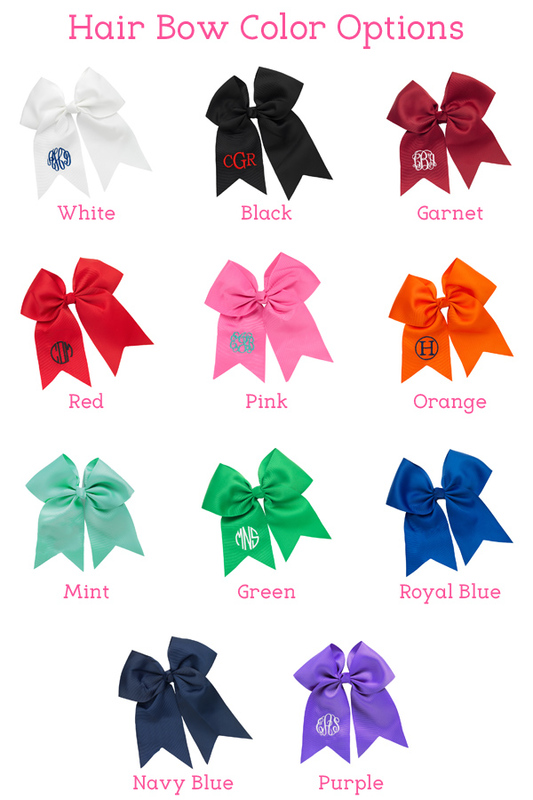 Popular hair bow colors include coral, mint green, hot pink, and purple. 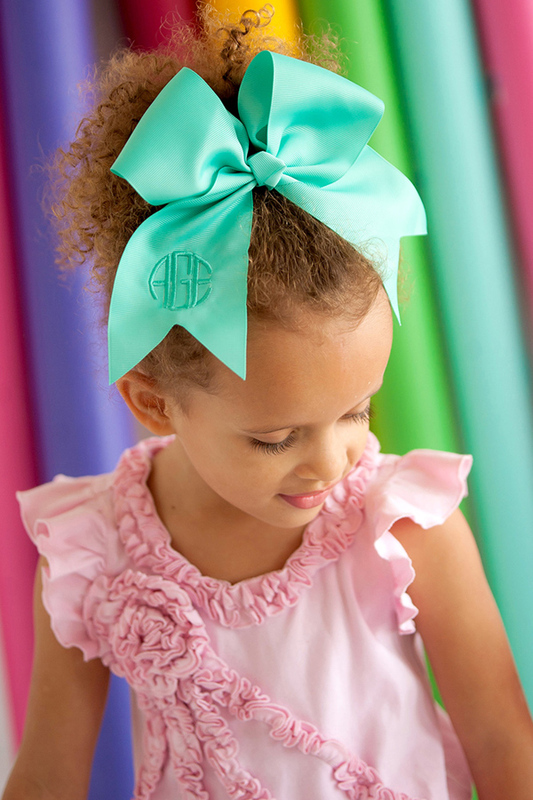 These large, oversized bows measure 7 1/2 inches long by 8 inches high and include an alligator clip. 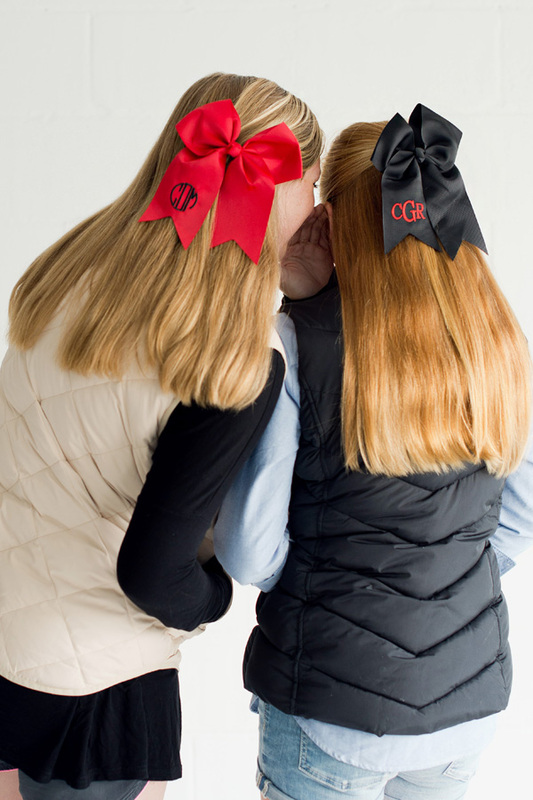 Loved the bows. 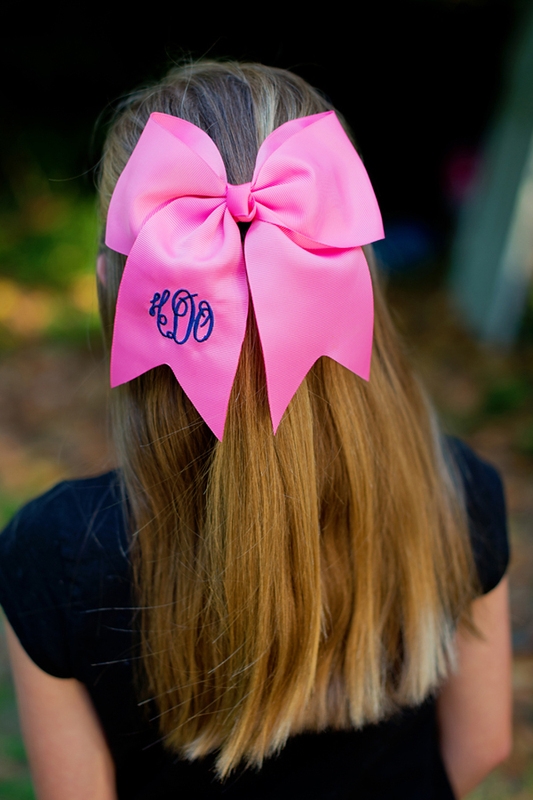 Bought for Easter baskets.